Time for the annual list of Cinco de Mayo treats! These are all tried, true and tested, and I hope you find something you like. 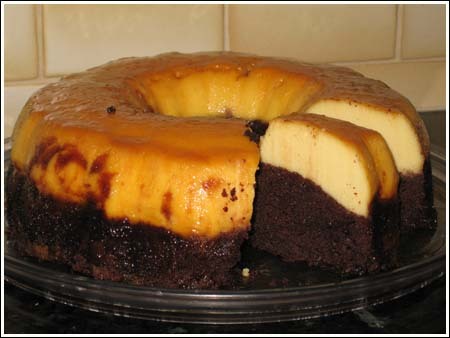 To start the list, here is the famous Flan Cake. 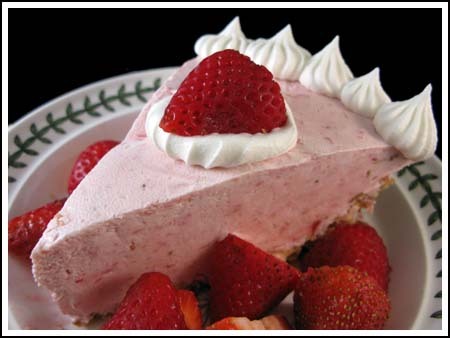 …and so is Strawberry Margarita Pie. 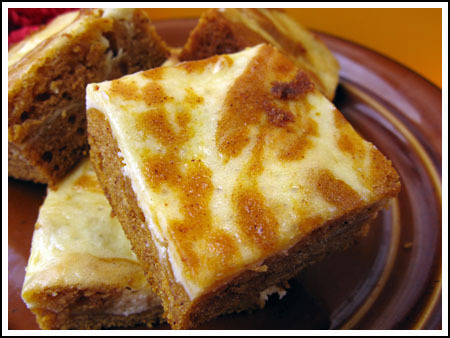 Or how about some Pumpkin Cream Cheese Swirl Bars? 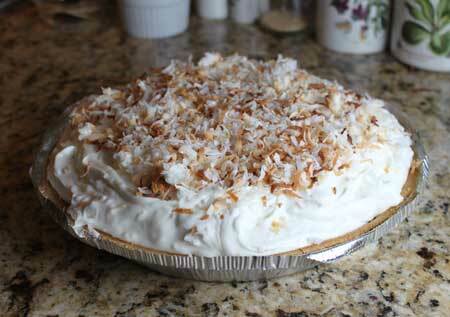 Or if you’d rather have pie, I promise you, this is a really good coconut cream pie. The secret ingredient is Coco Lopez, so that’s sort of “Fiesta-ish”. Best Yellow Scratch Cupcakes don’t scream “Fiesta!” but you could fix that by topping them with white icing and red & green sprinkles or tiny Mexican flags. 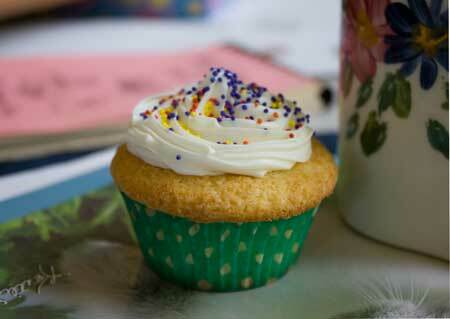 You needed an excuse to make cupcakes, right? 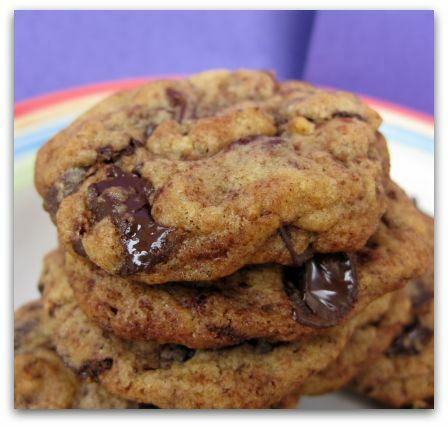 I’ll be making Mexican Chocolate Chunk Cookies with actual Mexican hot chocolate. This recipe is an all-time favorite. 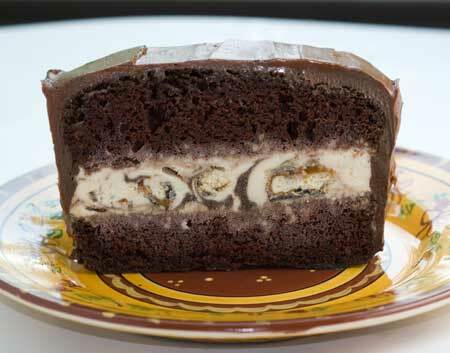 Or how about making this cake with pralines & cream flavored or any other Mexican type ice cream? Looking at this picture gave me an idea. What about a loaf pan size red velvet cake layer with a layer of white vanilla ice cream and a top layer of green velvet cake? And here are some more…. Mexican Chocolate Crunch Brownies use cinnamon flavored cereal in place of the usual graham crackers. I did weigh the flour, but I think I did 10.6 ounces. I think they taste good, despite not spreading. They almost taste more like chocolate shortbread (despite the eggs), a little like less-rich Dorie Greenspan World Peace cookies. Interesting! The reviews for those cookies are all over the place, and one person on Yankee magazine commented that hers didn’t spread either. Did you happen to weigh your flour? 2 1/4 cups should weigh (at least in my recipes) 10.1 ounces, but if you don’t weigh it it’s easy to pack in more. So maybe you used a little more flour than I did. The smaller eggs and the refrigeration would also help keep the cookies puffy, which in this case is not such a great thing. Maybe I’ll have to cross this one off the list. I also thought my large eggs looked unusually small. Oh, and I made the dough and refrigerated it while I went to the gym and baked it about an hour and a half later. Anyway, even though they are puffy, they are soft, and taste really good. 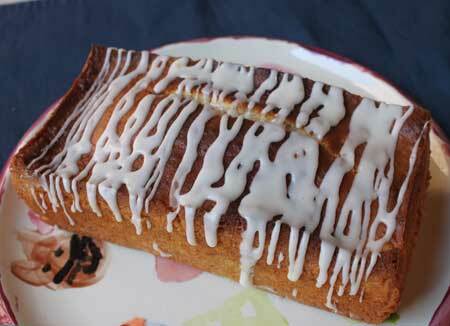 I did half with cinnamon sugar and the other half with just sugar, as my son is not a cinnamon fan. 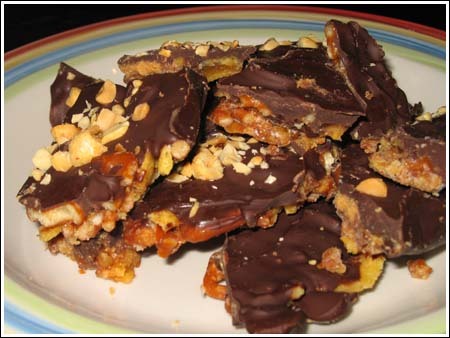 I think these would be really good with some chopped dark chocolate with chili in them. Wow everything is making my mouth water! Good job with the pics. I found your site on foodblogs.com and thought I’d stop by and check it out. I just subscribed to your feed and can’t wait to see what your next post will be!